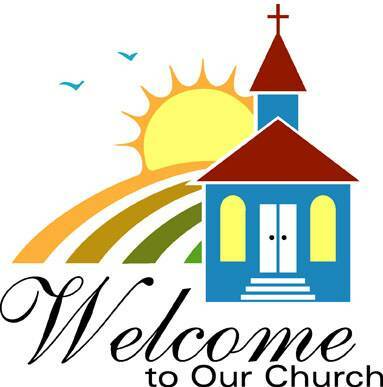 If you are seeking a church to call home, we invite you to come check us out. We are here for people who have questions, people who are looking for deeper answers to life's BIG issues, people who want something more. Drive up to the front of the church and park in the "Visitor" spaces. You will be greeted at the door by our friendly, helpful Greeters. As you step into the sanctuary, our greeters will hand you a bulletin, feel free to sit anywhere you are comfortable. Infants and Toddlers are welcome in our service. However, we do have loving paid staff who would love to watch over them in our nursery (located downstairs) for you during the service. Children begin worship with their families in the sanctuary. During the service, there will be a special time for children to journey to Children’s Church (usually after Children's Time.) This is a time for the children to gather in their own worship area and participate in age appropriate activities. Each week’s lesson includes activities like Scripture reading, prayer, offering collection, and a lesson activity. We offer a variety of programs for our children and youth throughout the week. Please check out the Children's Ministry page and the Youth Ministry page to learn more about each of these ministries. As a new visitor we don't want you to feel ignored, but on the other hand, we don't want you to feel pressured in any way to join the church. That decision is between your family and God. While you are deciding, we do invite you to check out the rest of our website and participate as much as you wish in the ministries and discipleship classes of our church. If you have specific questions, please contact the church office at 336-835-2323 or office@elkinfumc.org.